Ever heard a woman getting pregnant five times in a time period of just 10 months? Yes, it is true! An audit of beneficiaries of the Janani Suraksha Yojna in Uttar Pradesh, which primarily guarantees through a small dole better food for new mothers in the days just after the delivery of their babies, has thrown up some startling “facts”. 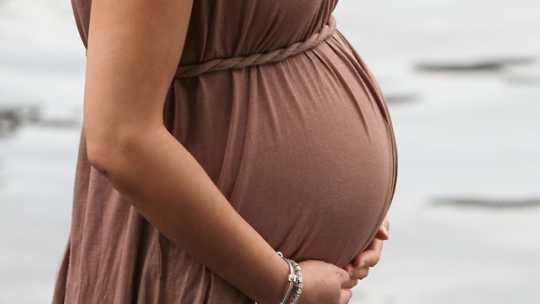 According to the facts revealed, it has been found that a woman was declared pregnant three times in four months to avail benefits under the scheme. Another woman who had not conceived in 12 years was paid Rs 1,400 as honorarium by the health department. Yet another woman in Bahraich, a 60-year-old, gots pregnant “five times in 10 months”. Janani Suraksha Yojna was launched by the Uttar Pradesh government in 2005 in a bid to provide poor pregnant women safe delivery. Under the scheme, if a woman has delivered a baby at a government hospital she has the right to get Rs. 1,400 so as to have nutritional food. It is unfortunate that the scheme is being misused. The matter came into light when Badaun’s Asha Devi visited the bank three times in four months with the cheque received under the scheme. Smelling something foul in the matter, the bank officials informed the matter to the Health Department. An inquiry was conducted and many more such instances tumbled out. Asha Devi had received Rs 1,400 under the scheme after she gave birth on February 28 this year. She claimed a similar amount in March, saying she had a baby that month. She then said she delivered on May 20, too, and sought the allowance meant for mothers like her. The case of Rajeshwari Devi of Barahi village of Samrer block was equally shocking. Given the Rs 1,400 honorarium after she claimed to have delivered a baby on August 24, 2011, it emerged later that the last time she had delivered a child was 12 years ago. As per the investigating officers, the employees of primary health care centres are the ones who have made the most money out of this fraud. Under this large pan-UP scam, the PHC employees would make fictitious transfers of Rs 1400 to the poor village women, give them a meagre cut and keep the rest for themselves. A total of 200 such cases have come into light alone in Baundi PHC.